Brushing your teeth twice daily is recommended to maintain your teeth in a healthy state and preserve your pearly whites. Due to regular use, the bristles in a toothbrush get frayed over a period of time and do not clean your teeth as efficiently. It is therefore recommended that you change your toothbrush every three to four months. 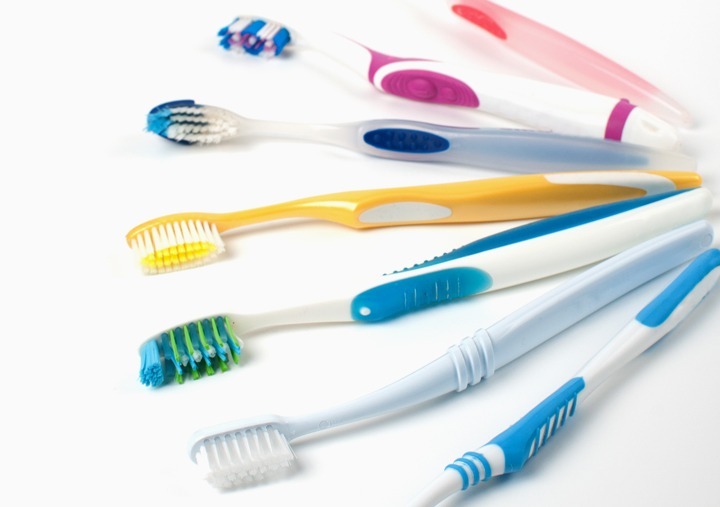 Children usually need to replace their toothbrushes more often as they can become damaged faster. It can be confusing when buying a toothbrush as they are advertised as having hard, medium or soft bristles and different shapes and sizes. Many shoppers will tend to choose the hard bristled tooth brush with the impression that the harder bristles clean better. However, along with removing the plaque on your teeth the hard bristles can also erode the enamel on your teeth and can cause gum recession. This often leads to future problems such as sensitivity. It is recommended to choose a soft toothbrush and not to use excessive force while brushing. It is important to brush for at least two minutes and ensure the correct technique is used to clean all areas of the teeth. If you feel you have not cleaned your teeth well, brush longer but not harder. Another option is an electric toothbrush. Many electric toothbrushes have timers which will ensure you are cleaning for the correct amount of time. The movement of the bristles means you will be using the correct technique while brushing. Some electric tooth brushes also have a sensor that tells you if you are brushing too hard. Another factor in choosing a toothbrush is the size of the head. The standard head size is 1/2 inch by 1 inch. While this is comfortable for most adults, if your mouth is small and you find this large, then you should choose a toothbrush with a smaller head or even consider a pediatric toothbrush. After using your toothbrush, rinse it well to remove any toothpaste, shake off the excess water and then leave it upright to dry and not in contact with any other toothbrush or objects. Do not put it in any container or cover it as this prevents the bristles from drying and causes bacteria to grows in this moist condition. Brushing alone is not enough to protect your teeth. It is important to floss your teeth daily to clean the surfaces between the teeth.